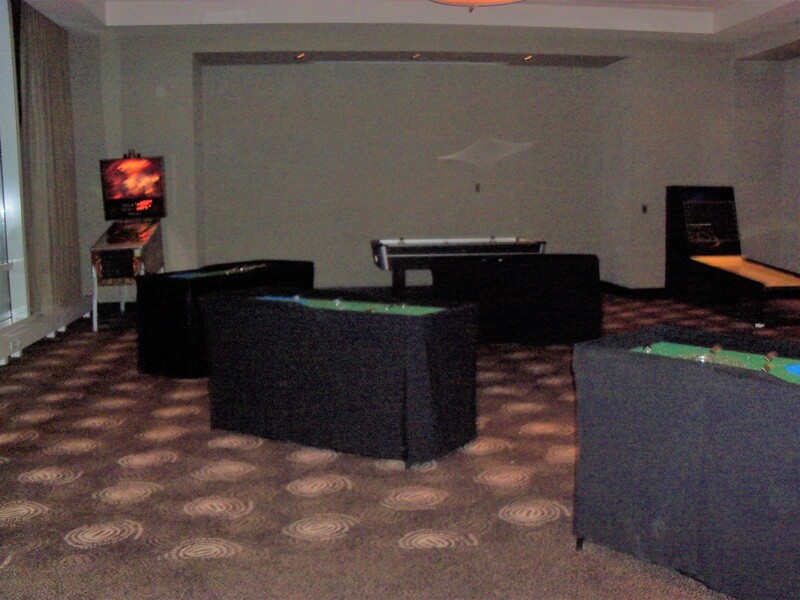 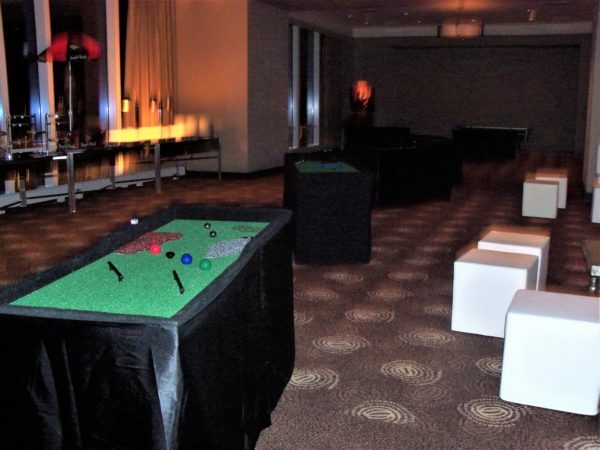 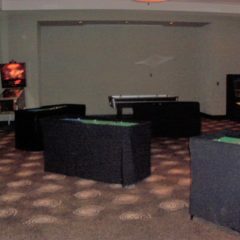 Through the imagination of our design team, we bring you a marriage of Mini Golf and Pool for entertainment or competition. 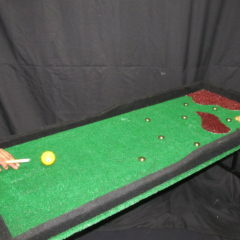 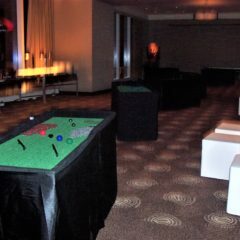 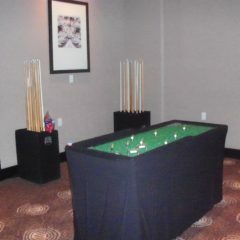 Use the cue to aim the pool ball around traditional golf hazards, hills and traps to each hole. 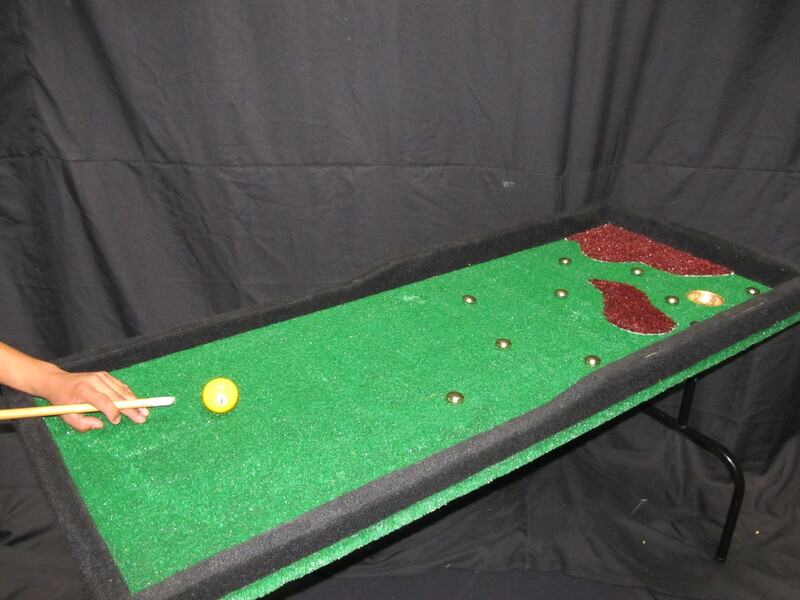 Players can test their skills at nine unique holes. Who can shoot a hole in one? 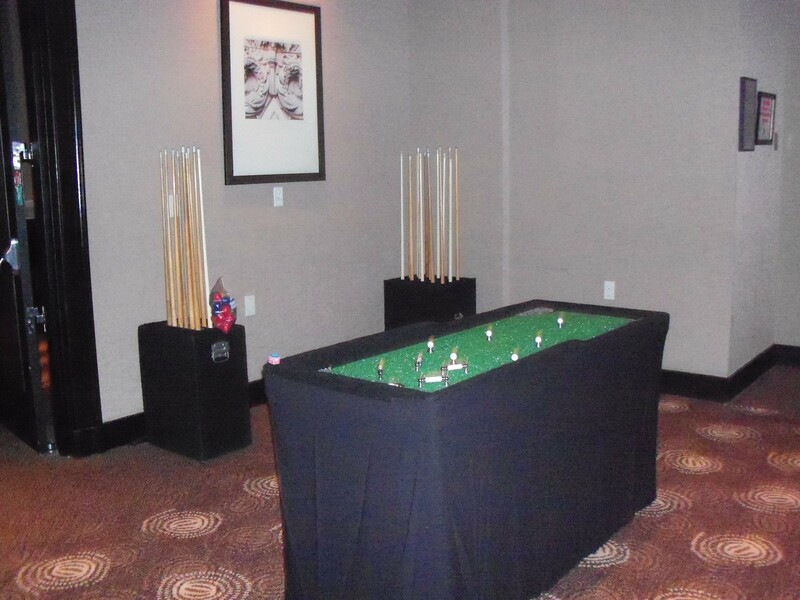 Each hole is a separate, free standing table.